Wellness hotel in a dreamlike position in the middle of ski and hiking arena Ahrntal, all-inclusive ¾ board, varied wellness, spa and beauty offer. Welcome to Hotel Das Gallhaus**** in St. Johann in Ahrntal Valley! 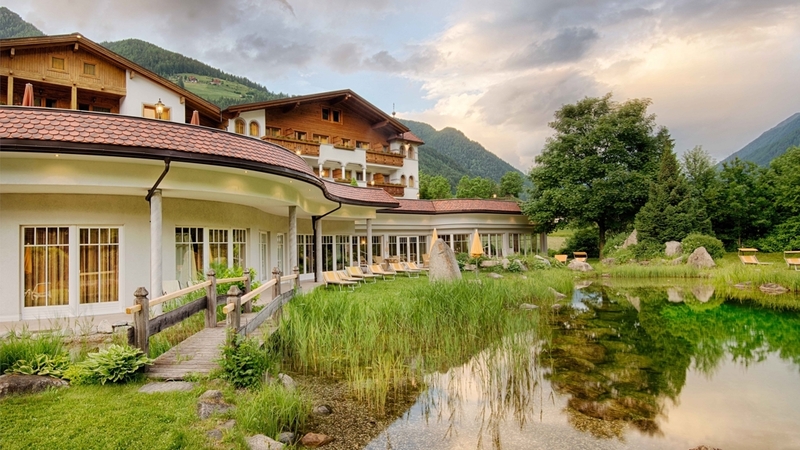 Hotel Das Gallhaus**** is located in the middle of the holiday paradise Ahrntal Valley, in one of the most beautiful natural landscapes of South Tyrol. Our family-run hotel offers a cosy ambience and attentive service. It is the perfect accommodation for your holidays with the family, as couple or as single. Our comfortable rooms are furnished cosily and offer everything you need for a pleasant stay. All prices include our ¾ board with a rich and healthy breakfast buffet, sweet and tasty snacks at the wellness buffet from 2 pm on and delicious 5 course menus with typical products from the region. The culinary highlights are our theme evenings and the weekly gala dinner. 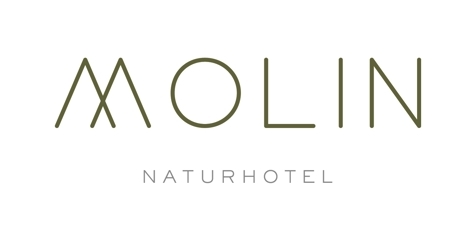 The wellness area in Hotel Das Gallhaus provides an extensive programme for wellbeing (also for families), a big indoor pool, a swimming pond in the garden, an outdoor whirlpool, a Finnish sauna, a steam bath and the Aroma Temple sauna. Our Hotel Das Gallhaus is located between the two skiing areas Klausberg and Speikboden, which you can reach by the free ski bus in winter. The wonderful nature offers also numerous possibilities for cross-country skiing, sledging, snowshoe hiking and much more. In summer you can discover the wonderful landscape during a hike, a mountain bike tour or by bicycle. Hotel Das Gallhaus offers also kids entertainment during school holidays. 3/4 PENSION in der luxuriösen Liliensuite mit 50m² (2-4 Pers.) mit Süd- bzw. Nordbalkon, separatem Wohnraum, großzügiges Badezimmer mit Dusche und Badewanne, separatem WC, Bidet, Föhn, Schminkspiegel, Flat-TV, Safe, Telefon und Minibar. 3/4 PENSION im großzügigen Zimmertyp Seerose 40m² (2-4 Pers.) mit Südterrasse und eigenem Garten, Badezimmer mit Badewanne,separatem WC, Bidet, Föhn, Schminkspiegel, Sat TV, Safe, Telefon und Minibar. With a flawed breakfast start your day. The popular Gallhaus hiking weeks will be again this year. Taking time for each other and enjoy the nice things of life together. The Ahrntal Valley has long become a biking paradise. Leave everyday life behind yourself and just relax. Prettau in the back Ahrntal there in former mine one asthmatics with very specific microclimate conditions. Celebrate your friendship with shopping and spa, eating together and do something together, chatting and laughing. Here in the Gallhaus you can spend a vacation alone in a friendly atmosphere and make new friends in the most beautiful hikes and, so why not just start driving time alone? The nature experience, feel, perceive. The Ahrntaler mountains, alps and meadows are a gigantic world of experience. Playstation, iPod and Co. may remain there with pleasure in the suitcase. A special offer for families with children! Miniclub, Babysitting , Animation, Babyphone, Vegetarian food , Home made products, Dietary food, Food for people with food allergies, Bike rental, Gratis Skibus, Sunshade, Deckchair, Ski depot in the house, Ski depot outside the house, Ski rental, Hiking Guide, Evening entertainment, Live-Music, Journals at disposal, Multilingual receptionists by day, Multilingual receptionists 24 h, Shuttle service (train station, airport), Baggage porter, Video surveillance, Pets allowed, Snow boot dryer, Room service, Shuttle service, Environment award, Dog-friendly accommodation, Family-friendly, Children's meals, Packed lunches, Shops in the environs, above 1000 m a.s.l.